That "stepped" design of Beckley Point doesn't work very well, in my opinion. 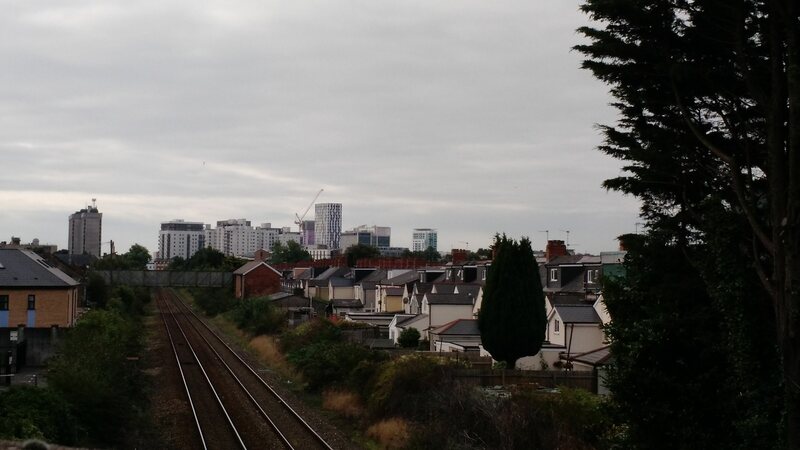 As for showing more ambition, it would be nice for Cardiff to have some real landmark skyscrapers, but the UK economy is so London-centric I think it's difficult for any regional city to attract the investment currently. Cardiff could probably have 50 tall buildings equivalent to the cost of Crossrail 2. It's been mentioned before, but there's also the issue of who would occupy those tall buildings, as most big private companies want to have the cachet of having their HQ in London. The Hallinans tower would look a lot better than Beckley Point as it would be situated along Newport Road in the context of having some other pretty tall buildings close by (as you said). Speaking of Newport Road I don't think I've seen any comments on the forum about the Eastgate House refurbishment. Personally I think it looks pretty good - certainly a big improvement on what was there previously. We really do have some shocking architecture in the UK. I don’t get it. Is it that councils in this country just don’t care about visual appeal? That said, having spent a lot of time in Plymouth recently, that new tower doesn’t look as bad in person. I actually quite like it. Cen wrote: We really do have some shocking architecture in the UK. I don’t get it. Is it that councils in this country just don’t care about visual appeal? We also have some decent(ish) architecture. I have to say that I think recent developments in the city have been distinctly better than what went up in the early 2000s. Bayscape, for instance, is so much better than Celestia. I'm not saying that current developments are all great, but they are generally better in terms of design and finish. Current state of the skyline. Agreed. I actually think Cardiff is making a good effort to move away from the standard British tat when compared to other similar cities. Central Square is a good example of the step up in quality. Even Capital Quarter looks pretty good now it’s almost finished. I still think the UK as a whole is seriously far behind other developed countries in terms of modern architecture. ^^^ not really, if you travel through Europe you will find the same kind of developments we have here, the grass is not greener! How dare you Cen, Celestia is magnificent and my home! That being said bayscape isnt too bad, it doesnt have much active frontage though and i really dislike the color of the wood against the black, but its a decent bulk for that area despite there being nothing but Tesco and the oystercatcher as local amenities..
Cardiff wrote: How dare you Cen, Celestia is magnificent and my home! That being said bayscape isnt too bad, it doesnt have much active frontage though and i really dislike the color of the wood against the black, but its a decent bulk for that area despite there being nothing but Tesco and the oystercatcher as local amenities.. In defence of Cen It was actually me who mentioned Celestia. He was quoting me. In fairness, I have friends who live there and the appartments are very good in terms of size and design. The exterior render and wood finish hasn't aged well though and the relatively recently introduced anti-homeless spikes are frankly shocking. Since you live there, maybe you could bring it up with the management company. No worries, there is an issue with the render which after 3 years of research 'should' be resolved next month, we expect it to be painted like waterquarter and victoria wharf, with the flooding pathway increased in height also. What anti homeless spikes? Cardiff wrote: What anti homeless spikes? If you walk along the Roath Basin footpath, you'll find them under the parts of the building that overhang the dockside walkway. In a way, I can see why they would want to prevent rough sleepers congregating there but they could have found a much more elegant solution. Spikes just seem so crude and nasty. I walk that way regularly, cant say i have noticed them, i will look out for them. On a different note the dock gates between the bay and Roath Dock are being restored, also the national war memorial is being restored...lots of restoration going on at the moment of historical structures and buildings.